Designed to reduce the environmental problems caused by the static storage and handling of fuming chemicals, such as Hydrochloric Acid. Fume scrubbing is an efficient and effective way of dealing with emissions that result from the storage and delivery of fuming chemicals. 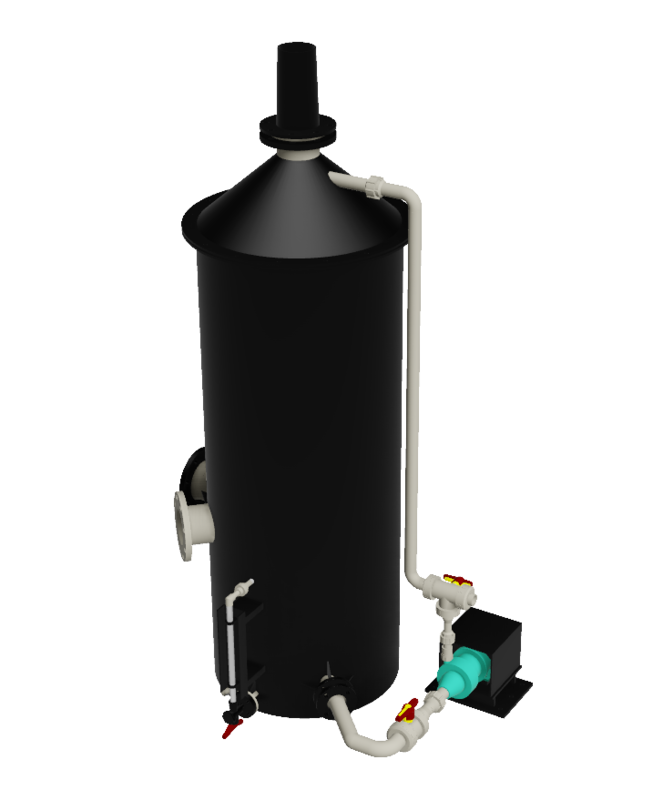 Forbes standard fume scrubbers are proven technology, easy to install, corrosion resistant and require virtually no maintenance. We supply six standard models. Custom-designed scrubbers can also be supplied. For advice on selecting the right model for your requirements please get in touch. 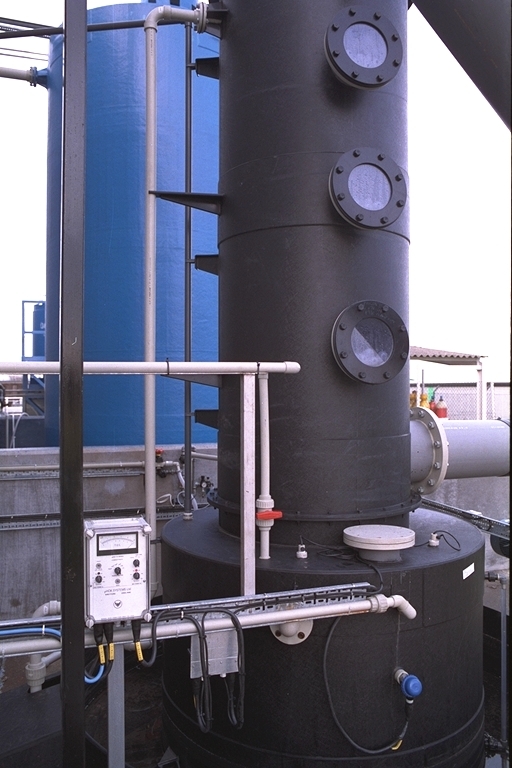 Standard fume scrubber designed for the static storage of fuming chemicals and their pumped discharge. Not suitable for pressurised air deliveries above 7 PSI from air pressure tanker discharge or pressurised Flo-bin system. 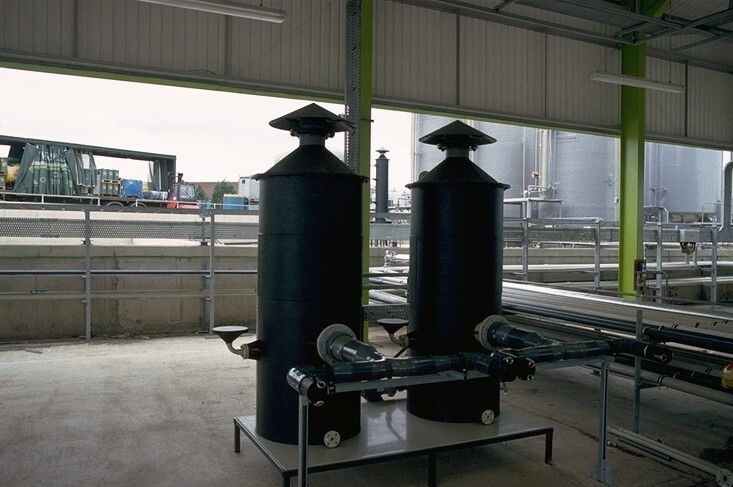 Water is used as the scrubbing liquor, producing dilute waste solutions. In some instances these may be disposed of through the site drainage system subject to the normal approvals. 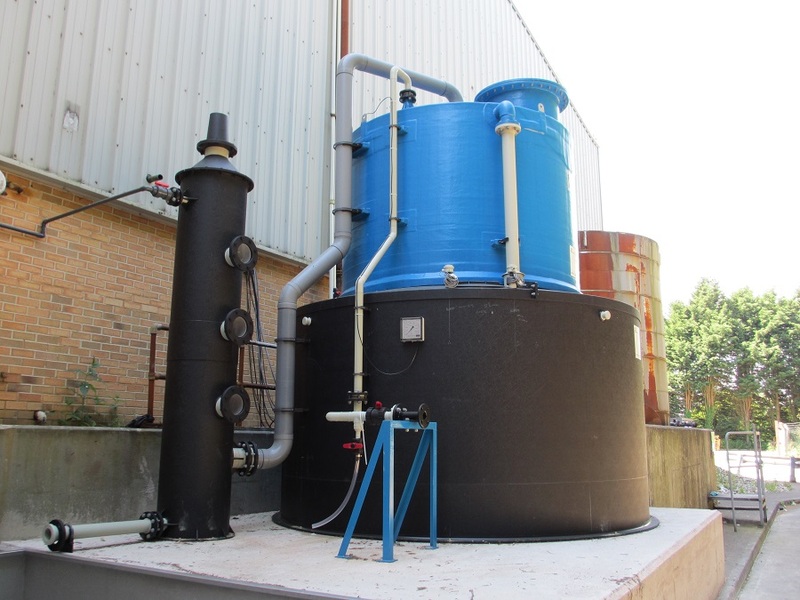 Incorporate an integral sump with recirculation pump. 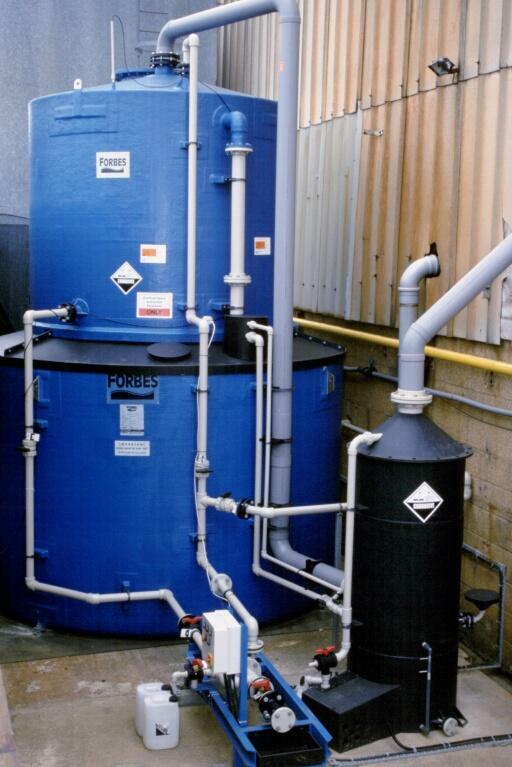 The scrubbing liquor can either be water or a neutralising solution such as caustic soda for hydrochloric acid fumes. Standard fume scrubber designed especially for pressurised tanker deliveries and static storage. High-efficiency technology handles the surge of ‘pad air’. Pressurised tanker deliveries up to 30 PSI. Our extensive ‘in-house’ capabilities include mechanical engineering design along with chemical process design. 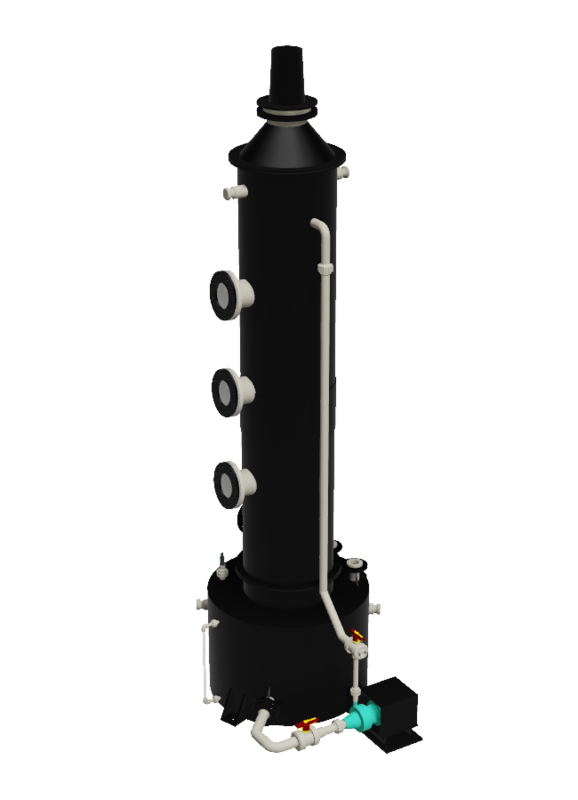 Our customers can be confident that Forbes’ bulk tank vent scrubbers surpass all safety and environmental recommendations.